Hybrid cars are becoming more and more acceptable to the people, in quest for a substitute for the gasoline. Hybrid vehicles can be powered using different technologies including electric and solar energy, besides the traditional gasoline. Of late, the manufacturers have started wait-listing the requests for different hybrid cars, in view of rising demand in the market. No doubt, hybrid cars are very special products, but their maintenance requires a different skill. Here are some sound tips for a user to consider carefully. With the introduction of the hybrid vehicle in the market, the battery pack was costing about $2000, in contrast to a mere $100 for a non-hybrid car, which was initially a shock for many buyers. But the situation has changed fast and a hybrid car now comes to the market with a warranty like any other normal model. The car manufacturer, Toyota Corporation is offering 8 years warranty for the first 100000 miles for their new model Prius. This really gives some relief to the users. Many other manufacturers are also falling in line with similar offers of warranties ranging between 80000 to 150000 miles. The cost of battery package cannot be held excessive, when considering with these generous warranty offers. Another great advantage is that the cost of battery has become drastically low now, in comparison with what was at the introduction stage. The battery that was costing around $2000 five years ago could now be bought from the market for a price as low as $500. A main point of concern of the prospective buyer of a hybrid car is the scheduled maintenance. But in most of the cases it is not very much different from the ordinary cars, but one has to ensure that the service of a mechanic skilled in hybrid vehicles alone is utilized for the purpose. Except a little variations, most of the maintenance keys are similar to the other cars. Special points of attention are the replacement of the air filters of the battery for every 40000 miles and oil changes at every 5000 miles, in addition to the common maintenance points. With some hybrid models, the maintenance cost will be far less and a best example is the brake system that regenerates itself, by which a car can be run up to 80000 miles without replacement of the original brake pads. Many car manufactures exhibit high MPG rating for their cars as the part of advertisement, which may not always be true, when one goes to take to driving. Despite all these, hybrid models typically get more mileage and help reduce fuel cost. 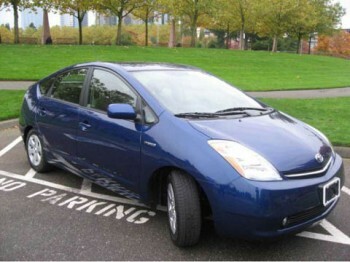 It is possible to run a hybrid car on alternative power system and switch over to the fuel, at the choice of the user. But the running costs may vary to a commuter on high ways taking to fast driving, in comparison with the one who takes to city driving for a few miles to reach to his work spot and back. The manufacturers mostly rate the MPG for their cars between 45 – 50 but at actual running this may fall short by 20%. In most of the hybrid models, the expected MPG would be around 38, for fast driving to long distances.